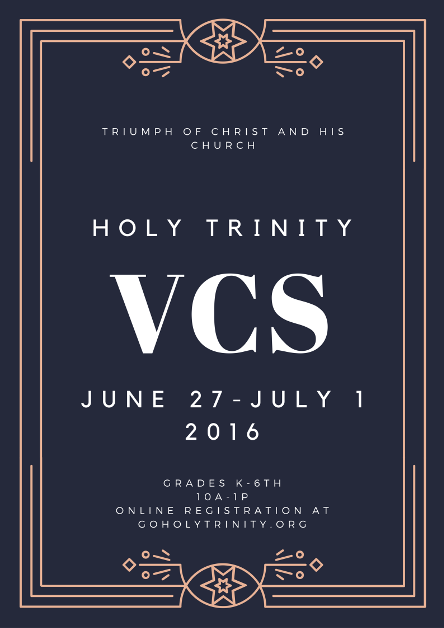 Holy Trinity Cathedral invites children grades K-6 to attend Vacation Church School. This will be an awesome week of faith, worship, fun, athletics, arts & crafts, music, and more! This entry was posted in education, youth events and tagged church school, Holy Trinity, vacation. Bookmark the permalink.